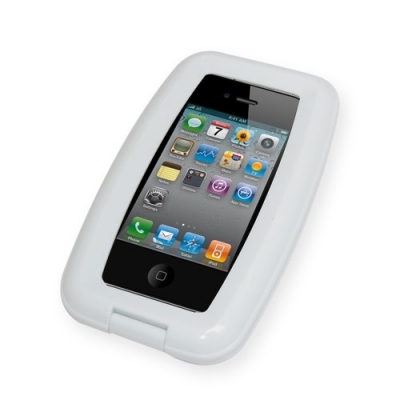 As well as protecting your handset from water, the Aqua Phone Case also guards against sand, dust and snow. 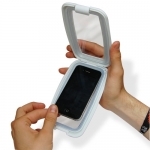 What’s more, the case’s touch-sensitive skin means that your device is still fully functional when it’s sealed away. Plus, you can take super clear underwater video footage as long as you start recording before you dip under the waves and stop recording when you come up for air – perfect for filming your scuba trip in the shallows! 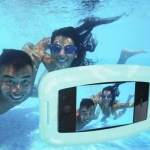 And of course, as the case is 100% water-tight, you can lounge around the pool on your lilo, chatting to your mates on the phone, without worrying about dropping your most precious gadget. Let’s face it, water and smart phones just don’t mix… but seeing as around 71% of the earth’s surface is made up of H2O, it’s unlikely you’re going to be able to keep them apart forever. And that’s where this 100% waterproof case comes to the rescue. Featuring a Featuring a transparent, touch-sensitive Perspex skin framed by a rubber seal, this durable, protective holder acts as your mobile phone’s guardian angel! Please note: This case is compatible with iPhone 2, 3G, 3GS, 4, 4S and 5. Also compatible with Blackberry.